Year 5 have had a brilliant day at The Kings Richard III centre as part of their topic work. We had a great day and would love to come back. We learnt all about the life and death of King Richard III. We feel privileged and proud to know that a king is buried in Leicester! We got to do some activities and deepen our understanding, this will help us with our writing. 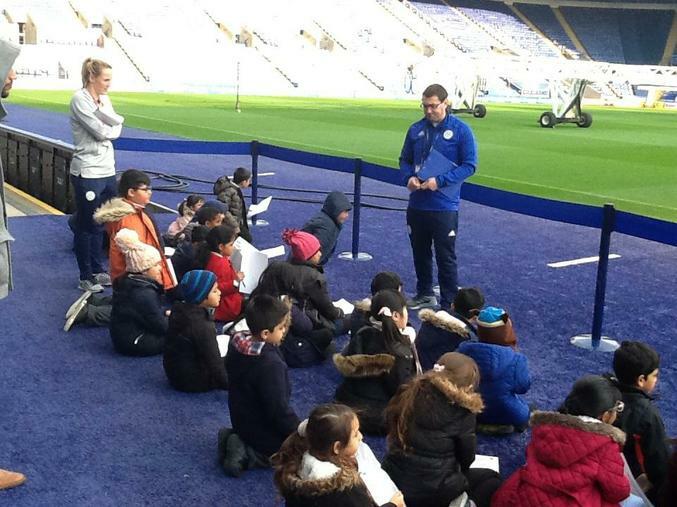 Our year 3 pupils visited LCFC as part of their Geography topic- Leicester and the locality. 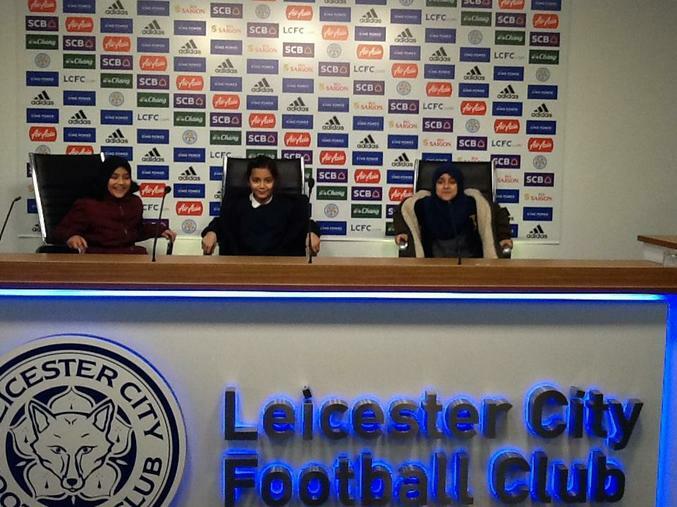 They had an amazing time touring the grounds and sitting in the commentator seats. For many of our pupils, this was a once in a ifetime experience, so it was doubly rewarding to see their happiness radiate throughout the day. They also took the time to pay their respect for the late chairman of the club. 13.3.18 Roman Day. Our year 3 pupils had an amazing day with CLS. They learnt all about Roman lifestyle, fashion and the army. Our pupils couldn't contain their excitement when they were allowed to handle artifacts from the Roman era. Thank you CLS. 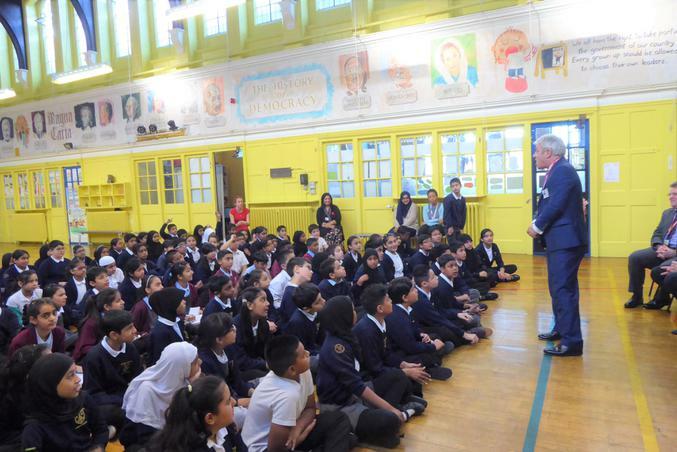 We were all really excited about our visit from Mr Speaker (John Bercow, the speaker of the House of Commons). He is a lovely man. 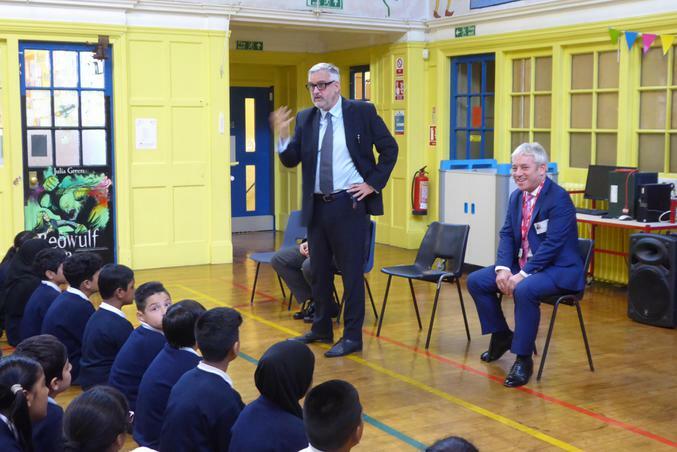 We enjoyed asking him questions about his job, his life and of course Brexit! 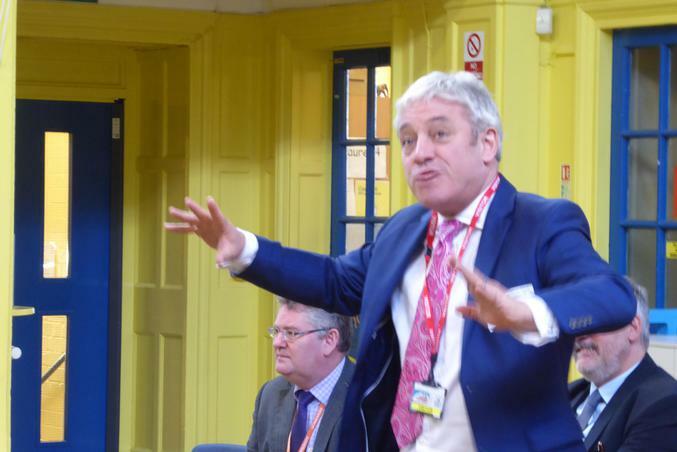 Mr Speaker said he was impressed with our curriculum, the behaviour of the children and our art work around the school. He talked to us for an hour and a half and was happy to pose for photographs too! We were disappointed when he had to leave. Gosh what an anstounding, amazing, and awesome day we have had! First we visited Il Duomo and climbed 463 steps; the view at the top was spectacular. Next on the list of our cultural trip to Florence were St John's Baptistery and The Crypt of Santa Reparation. We had so many questions and took in the beauty of the architecture and discussed the merits of the intricately painted ceilings. After this we visited Santa Maria del Florence, the 3rd largest church in the world. By this time we were ready for some lunch which we enjoyed in the Italian sunshine. We had to be careful of the 'pigeon food stealers' but managed to outwit them! Then we visited the famous Uffizi Gallery where the art is mainly from the Renaissance period. We admired work from Botecelli, Carravagio and Da Vinci. We were pretty inspired by this. We saw statues, busts and marble carvings. Lastly, before heading back to the hostel, we visited Giotto's Bell Tower and ofcourse couldn't resist the 414 step climb to the top! Will we have aching calves tomorrow? It was worth the effort. The view from the top was amazing. In between that, we managed to have some Italian gelato..delicous! Can't wait until tomorrow. (with reclining seats!) to our hostel. We arrived tired, yet happy. The boys reckon they have the best room, which is probably true! A room with a fridge, microwave, kettle, dining table, crockery....Ms Miah's room does have a balcony which she is pleased about and the girls room also has a balcony. As for Miss Elton and Miss Hill's room...erm well...what can we say...!! We had a rest, then an evening meal of asta, mozzarella and tomatoes followed by gelato! Now it is bed time. Good night! Year 6 are off to Florence next week!! Everyone is really excited and ready to take in the sights, the food and the culture Florence offers. We will keep you posted and fingers crossed the weather holds up!! 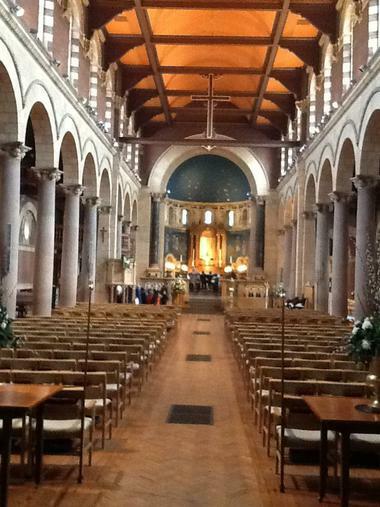 This term we had the exciting opportunity to visit St. James the Greater Church on London Road. We started off our visit being introduced to the church’s architecture by the kind volunteers. Then we had a chance to look round and explore the different features which we have been learning about in our RE lessons. A particular highlight was getting to ring the church bell! Year 5/6 Football League - Judgemeadow. Games played on 27th Sept, 11th Oct, 8th Nov & 22nd Nov.
A great start to our new football team who have been playing really well at Judgemeadow throughout Autumn term. The matches were closely contested, with great efforts made by the Medway team. A day missed of games may have affected there position in the League but children have more games to be played in the new 2017 League. We always enjoy our Christmas miscellany to finish the term with some Christmas cheer. This year we saw singing, dancing and even Banjo playing from Year 4. Its lovely to see everyone let their head down for some Christmas singing - Happy holidays all! F1 Curve Theatre Trip - 17th December. The children loved their trip to the Curve theatre to see Mr Poppers Penguins. For many of the children it was their first time to the theatre, but hopefully not their last. 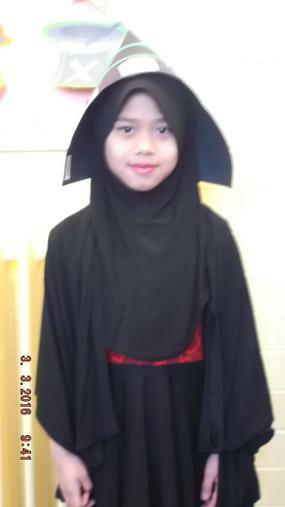 Once back at school the children made their own theatre and enjoyed putting on shows for their friends. Key Stage One was filled with excitement this afternoon at their Christmas party. There were some dazzling party outfits and music and fun filled the dining area! Thanks to all the staff for their organisation and hard work! EYFS Christmas party - At the end of term we had a Christmas Party, where children got to meet Father Christmas, play games and of course eat lot of food. The children thoroughly enjoyed the Christmas parties this year and we thought they were well considered with activities in each classroom and a communal space in the hall for the hugely popular 'Lets Dance' game on the computer. Thanks to all staff for your organisation and hard work and to their children for their behaviour and food donations. We always looked forward to our youngest children performing the annual Nativity. We always feel very Christmassy afterwards and this year was no exception! Year 4 Orchestra Unwrapped - 30th November. Year 4 walked across Victoria Park to De Montford Hall, where they had been invited to watch a concert called Orchestra Unwrapped. There was a huge orchestra on the stage, and the children saw all the different instruments and heard them play lots of fantastic music. They had been learning a song called Past-Present-Future; their favourite part was getting to sing the song with all of the other children who were there! They said they "had a brilliant time and never wanted it to end!" EYFS Owl visit - 23rd November. Hoots Owls came to our school as part of our nocturnal and owl babies topic. The children were able to handle and stroke 3 different types of owls and loved sharing their owl facts that they had learnt. 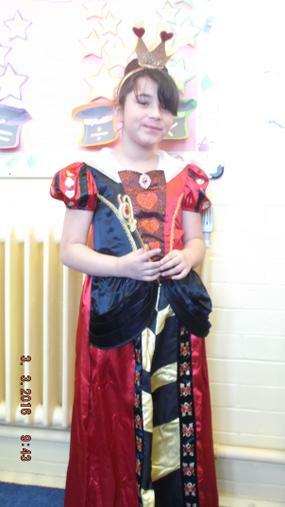 Children in Year 5 have been learning about King Richard III life and death. With the recent discovery of King Richard III in Leicester, children have had the opportunity to visit the Richard III centre and learn about one of the greatest archaeological detective stories ever told. "This was Medway at its absolute best. The Year 6 children were dignified and appropriately solemn throughout the assembly. All had been given a part to play and this was a demonstration of how successful the oracy work in the school is. Children spoke clearly throughout and a number had learned the poems off by heart and delivered the content with the right balance of speed, enunciation and emotion. Sometimes it was hard to believe their ages because of their respectful delivery. We can be certain that these school children will always carry the memory of their work today, and that gives me belief that these important acts of homage will continue into this generation. 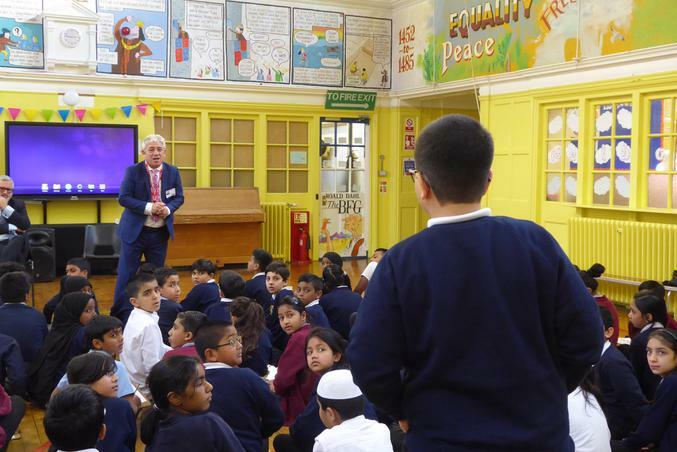 I was proud of these children, proud of their teachers and teaching assistants, and proud of the ethos of the school which brings this national act of respect directly and relevantly into the lives of their diverse pupil population. " Medway welcomed the Fire Service into school to discuss fire safety with our Year 1 and Year 5's. It is a crucial time of year to consider staying safe and our children listened with intent and were quite knowledgeable about how to react in a potentially frightening situation. Following on from the success, our Table Tennis team also took part in Leicester City School Games with the boys and girls teams achieving 2nd place. A fantastic performance, well done to our Table Tennis team! Year 5 and 6 Table Tennis at Judgemeadow - 31st October. 12 children from Year 5 & 6 took part in a Table Tennis Competition with 1 team winning and the rest of the teams achieving 2nd place. 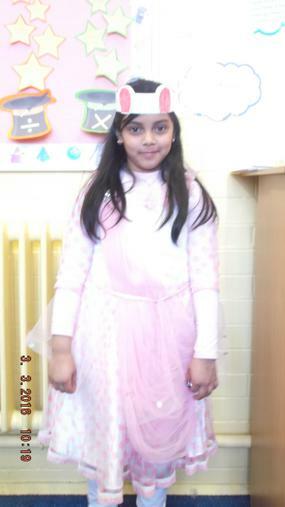 Our Year 2 children have been learning about Diwali and the story of Rama and Sita. They have produced an assembly to share with the rest of the school and some very proud parents! Our Harvest assembly as always, gave us all an opportunity to think about those less fortunate than ourselves. Our children always give so much and the boxes of contributions sent to Open Hands for those in need were very humbling. Our foundation stage children walked down to the New Walk Museum to looked at the Dinosaur and Wild Space exhibitions. 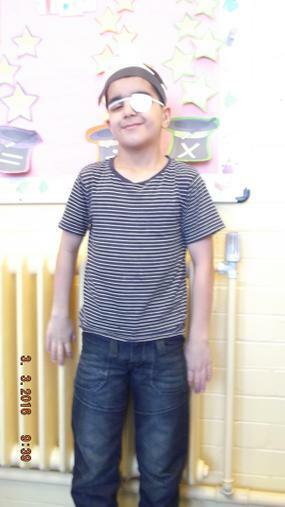 Behaviour, as usual was excellent and the children did extremely well walking there and back from school! Today some of our Year 3 and 4 footballers are taking part in a football tournament. The staff at Medway are very pleased that more girls are joining our football teams and clubs. We look forward to a time when our teams have equal numbers of girls and boys. So cheer on our footballers and, if you feel like giving football a go, please speak to reception about joining our football club! Some of our talented athletes visited Saffron Lane Recreation Ground to take part in an athletics competition today. The children were well behaved and were a credit to Medway. 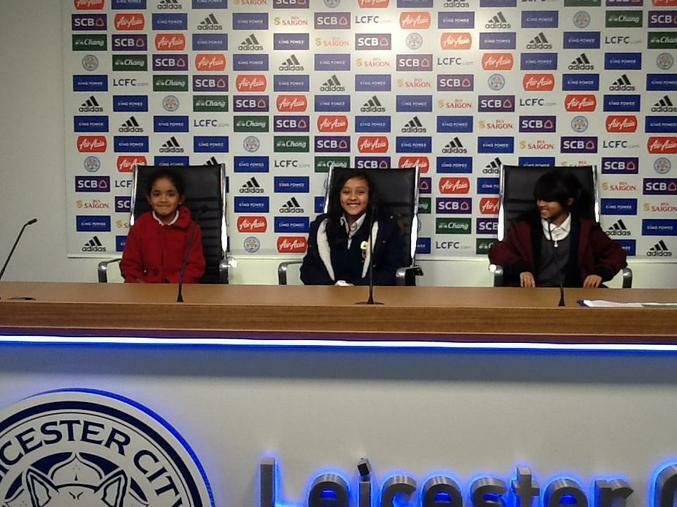 Thank you to all the children who took part and to Mr. Ahmed, who organised the trip. Hurrah! In case you hadn't noticed, Leicester City Football Club have won the Premiership! Medway, as always, will celebrate in style this Friday by dressing in blue and having a really great time. Today, Years 4, 5 and 6 watched a wonderful performance by the Baghdaddies that brought the topic of Ancient Baghdad to life- particularly for our Year 4's who have been studying Ancient Baghdad over the last term. Well done and thank you to the performers and children. Thank you also to Miss Barlow for organising this treat for us. To celebrate finishing their SATs, our Year 6 children took a trip to Drayton Manor today. The weather was just right and the children were brilliantly behaved all day. We hope you really enjoyed yourselves today, Year 6- you deserve it! Today, Queen Elizabeth turned 90! All of the staff and children at Medway wish her a wonderful birthday and many happy returns of the day. This week, our children have been learning about the religious festival of Easter, culminating with a superb assembly given by our Year 4 children. We hope you enjoyed learning this week and have a superb break. See you in April! On Friday this week, Year 6 will be heading off to London to visit the Natural History Museum and the Houses of Parliament, while Year 3 will be visiting Jewry Wall Museum. A day of fun, knowledge and culture will be had by all. Thank you to our wonderful teachers for arranging these superb visits! Today, our Netball Team are off to a league match at Crown Hills. Team sports like netball help build skills like teamwork and leadership in children, in addition to resilience. So work together and have fun out there, everyone! Our healthy eating group met again today. We learned more about healthy lifestyles with the help of mums and dads. Remember the Eatwell Plate- we need lots of different types of food to maintain a healthy lifestyle and balanced diet. Our brilliant Year 6 children have been treating the rest of the school to a presentation, which they have organised and created themselves, about the importance of reading and the benefits of doing so regularly. The lower year groups really enjoyed hearing the Year 6 children speak so passionately. Hearing the message from fellow students really inspired younger children to pick up a book. Thank you, Year 6! Our brilliant family liaison team have been working with our families and children to inspire children to read. Our parents have been doing a superb job in motivating their children to read and we will soon start to see a real difference in their progress in-school as a result. Today, a number of children from Key Stage 2 took part in a cross country event, where they leaped over mud-traps and persevered, though out of breath, to the finish line! Well done for all your hard work and resilience in completing this challenge. Today was a big day for football! Our football team attended a Football League match at Judgemeadow and our other keen footballers were treated to a visit from a football coach who will be working with them every Monday after school from now on. We look forward to watching you all improve as the weeks go on. We raised a fantastic £323 for Book Aid on World Book Day! Well done everyone. We enjoyed dressing up as our favourite book characters and had a superb time engaging in various book-related activities. A big thank you to Mrs Berriman, our literacy co-ordinator, for organising the day. A fantastic time was had by all! We welcomed all Medway's mothers into school today to celebrate Mother's Day! Children really enjoyed showing off their work and classrooms. Thank you to all the mums who visited us- we hope you had a wonderful time! Well done to the two children who won a visit to Heavenly Desserts for afternoon tea with their mums and siblings. We hope you enjoyed yourselves! Today, Year 2 visited Masjid Umar Mosque to learn more about the Islamic religion. They will think about the ways in which it is different to St. James the Greater Church, which they visited earlier this year. They were very well behaved and respectful throughout- well done Year 2! Year 4 visited DeMontfort Hall on Wednesday to watch the Philharmonia Orchestra play live! The performance was part of 'Orchestra Unwrapped'- a special set of concerts designed for primary school children. We had great fun learning about the music from classical and modern composers and joined in with the audience participation piece, 'Bamboozled'. The children were impeccably behaved- well done to all! Well done to all children who achieved 100% attendance last term. On Friday, we had a fabulous time playing all manner of games in the hall. Our 100% attenders also received a certificate, a free book and the opportunity to wear non-uniform on Friday. Congratulations also to our prize draw winners, who won the chance to pick a prize worth £50 from our prize catalogue. Today, some of our children attended a Multisport event at Judgemeadow which was themed around the 2016 Olympics. They practised hockey, basketball, hurdles, football and cricket. 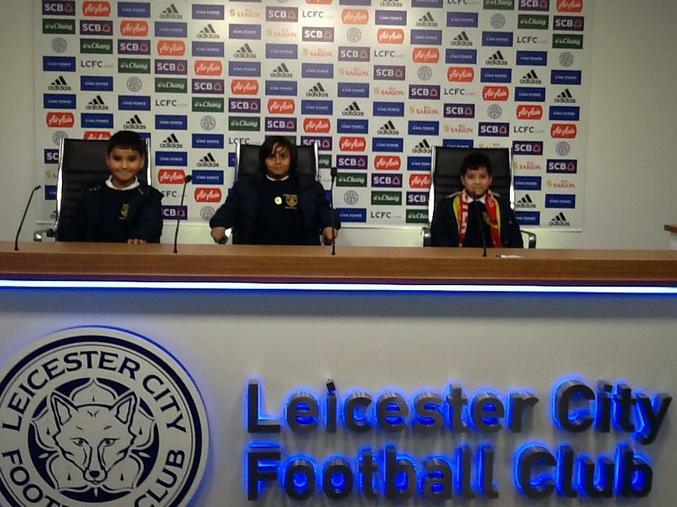 Meanwhile, our Basketball Team attended a league match which was also at Judgemeadow. Being active and having a healthy lifestyle is very important and we emphasise this at every opportunity at Medway. Today, Year 6 are presenting an assembly about cyber-bullying. Cyber-bullying is when bullying happens online. It is very important that you tell an adult if you are being bullied online. Today, Year 6 are discussing self-confidence and positive self-image in their year group assembly. Self-esteem is extremely important for everyone. Today, Year 4 are discussing our environment and climate change during our year group assembly. What can we do to save our planet? Today, Year 4 are discussing road safety and the Green Cross Code in our year group assembly. 1. Find a safe place to cross where you can see the road in both directions. 2. Stand near, but not on, the edge of the road. 3. Listen and look for cars. If there are any cars coming, let them pass. 4. When the road is clear, walk across quickly, looking and listening all the time. Today, Year 6 visited the Warning Zone to learn about safety online, at home and when out and about. They had a fantastic time and learned a lot. Thank you to our Year 6 teachers for organising this wonderful visit. We came back to school today and are very excited to begin another term at Medway. Remember your uniform, bookbags and PE kits! Today, Year 1 amazed us all with their brilliant acting in the Nativity play. They spoke very clearly and the costumes were amazing. Well done to the Year 1 children and to staff who made it possible. We'd also like to say a big thank you to all the families who came to watch the children perform. Today the Healthy Eating group was in school to work with a group of children. We learned how to make healthy snacks out of fruit and vegetables! Today we received a wonderful visit from PALS Productions, who performed a Cinderella Pantomine for years 2, 3 and 4. The children had a fantastic time and particularly enjoyed the interactive parts of the show. Today our Eco-squad are heading out to an Eco-Conference at the National Space Centre in Leicester! We look forward to hearing about all they have learned when they return to school. 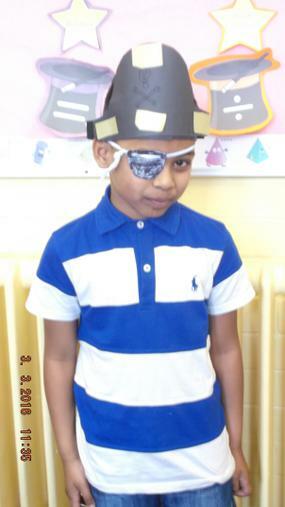 Year 4 will be visited by Boot’s Opticians today, as we discover the importance of proper eye-care. When was your last eye test? Hoots Owls brought some real-live owls to show our Foundation Stage children today! Moonshine and Sunshine had a real hoot as they learned all about these wonderful birds. Some of the children even got to stroke the owls! Another football tournament at Judgemeadow! Good luck everyone. It’s anti-bullying week! Today in assembly we learned about bullying, what it is and how to stop it. Remember: Tell, Tell, Tell! What’s your favourite story? Some incredible storytellers have come into school today for our younger pupils. It’s Children in Need time again! Dress up as your favourite champion today for Children in Need. Remember to bring £1 for non-uniform and some change to buy crafts at our Medway Market. A busy day, today! Leicestershire Fire and Rescue came into school to talk to Year 1 and Year 5 about the importance of fire safety and how to stay safe in the event of a fire. Come along afterschool to see the demonstration of a chip-pan fire. Remember, never leave chip-pans unattended. This afternoon, our football team is off to JudgeMeadow for a football tournament! Good luck everyone! Parent’s Evening is today. Remember to come along to see your child’s class teacher at the appointment time given to you. Please try to arrive ten minutes early so that everyone can be seen on time. We’re back to school today! Make sure you’re here at 08:30 and ready to learn. Remember, there is no school this week. Enjoy your time off, stay safe and do plenty of reading. See you next week! Well done to all those who came to school every day and one time last term! Today we enjoyed a super party, filled with superheroes! Don’t worry if you didn’t get an invite this time- you can come to the next party and get a free book if you come to school every day and on time during the Autumn Term. Today we donated a mountain of food to Open Hands, who support members of our community that struggle to find enough to eat. Each class learnt about a different aspect of the history of harvest and we shared a wonderful assembly. Cornucopia, anyone? The Eden Project sent members all the way from Cornwall to tell our children about the fantastic work that the Eden Project does to raise awareness of the importance of biodiversity. Our lucky Year 5’s and Year 3’s participated in a workshop, while the rest of us enjoyed a fascinating assembly. Today we collected bags of unwanted, clean clothes to donate to Wastebusters. They will weigh our donations and give us free vouchers for science equipment! Today we welcomed members of our local police force into school to teach us about road safety. We learnt that most of us need to use a child-seat in the car and that all of us should be wearing seatbelts! We also learned about the importance of keeping the front of school clear. Remember- parking on zigzags is selfish and dangerous! During this year’s Macmillan Coffee Morning, we will be holding a fabulous bake-sale and will enjoy raising money for a worthy cause. See you at 11 a.m. in the Junior Hall! Year 3 swimming starts today! This potentially lifesaving skill will be taught every Monday for the next term at Aylestone Leisure Centre. Remember your towel and swimming costume. Have fun! Welcome back! School is open for children today after the long summer break. Remember your school uniforms and book bags.